How long does it take for Golden AromaTherapy to ship my order? We know that timely shipping is crucial to our loyal customers. Our goal is to ship orders in 1-2 business days. Expedited shipping methods will ship the same business day if possible. Whenever an extended delay is expected in shipping your package, our Customer Service team will notify you via phone or email. Note: While we work seven (7) days a week to achieve our goal, during peak holiday times, delays may cause an overall increase in shipping times. All orders are shipped from our facility in Boca Raton, Florida. We never drop-ship products. By keeping all shipping in-house, we can maintain quality, speed and accuracy in your order fulfillment. Golden AromaTherapy direct-to-you shipping model makes it convenient and affordable to get the world’s highest-quality products to you internationally. 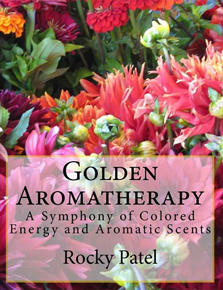 Be sure to tell your friends and family about Golden AromaTherapy's best value on products and shipping! We reserve the right, in our sole discretion, to change our shipping policy at any time by posting revised terms to our Shipping Policy. It is your responsibility to check periodically for any changes we may make to this policy. Your continued use of the Services following the posting of changes to this policy or other terms means you accept the changes. Shipments of essential oils and fragrances that have a flash point of 60.5 degrees Celsius (°C) or less are considered hazardous materials (Class 3 Flammable Liquids). Flammable Liquids with a flashpoint at or above 38 degrees Celsius (°C) can be exempted from the hazmat regulations when shipped by ground, but are fully regulated by air transport. Any item designated as a hazardous material may incur higher shipping costs and longer shipping times.